Mt. 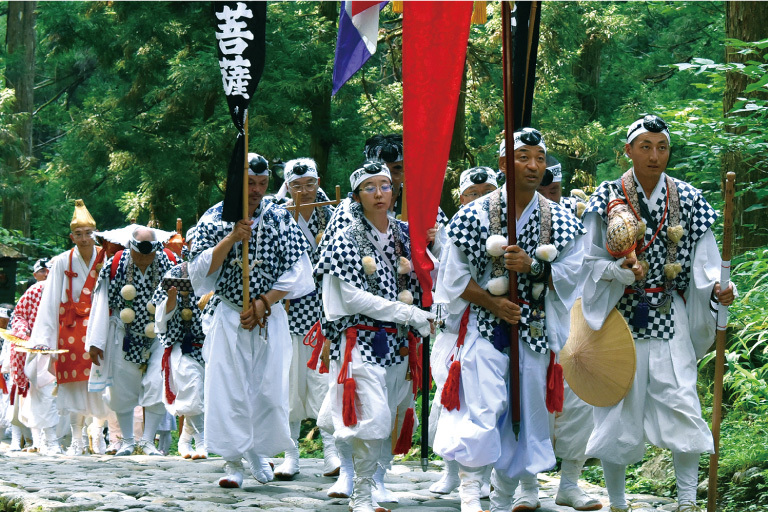 Haguro’s mineiri are entry rituals performed by Haguro Yamabushi following in the footsteps of Prince Hachiko. In summer’s Natsu-no-Mine, members of the general public climb the Three Mountains of Dewa. In Aki-no-Mine, Yamabushi spend around one week in autumn training in the mountains. Finally, winter’s Fuyu-no-Mine has two Yamabushi spend 100 days on the mountain. Fuyu-no-Mine is concluded on New Year’s Eve at the Shōreisai festival at the top of Mt. Haguro, where the two Yamabushi compete with what they learned during their training.